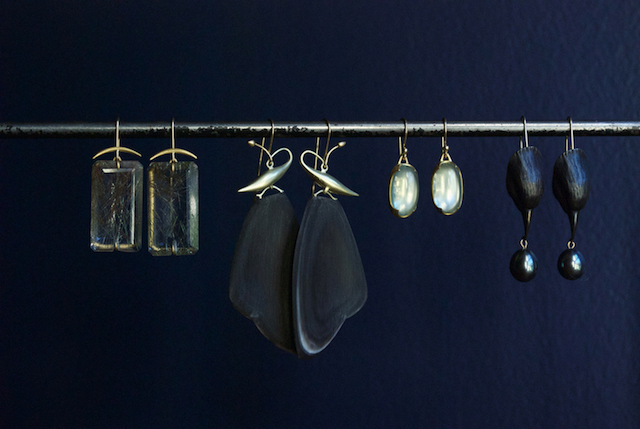 We are excited to announce the arrival of Gabriella Kiss's stunningly beautiful jewelry to Metier. 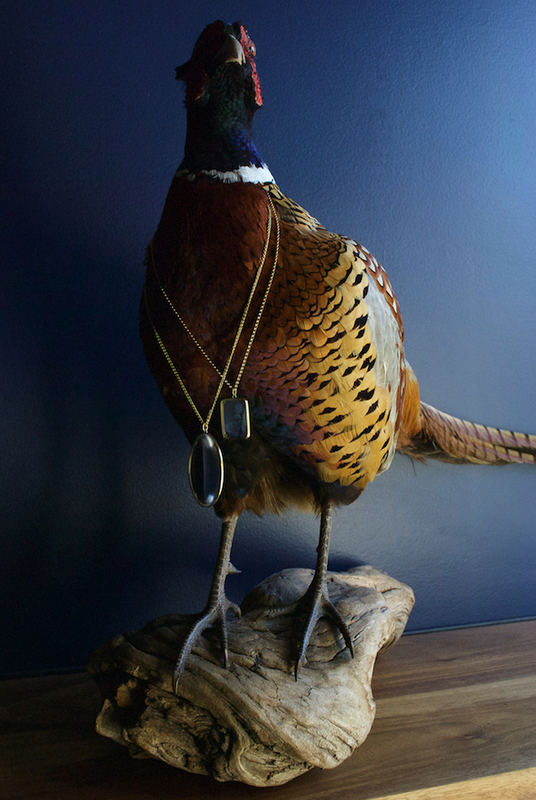 Inspired by flora and fauna, and fascinated by nature's life cycles, Gabriella meticulously crafts treasures in fine metals featuring precious and semi-precious stones often in combination with found natural materials. These elements are fashioned into tiny green gold bug studs, delicate horn butterfly wing earrings, trailing vine necklaces and luminescent gem rings. 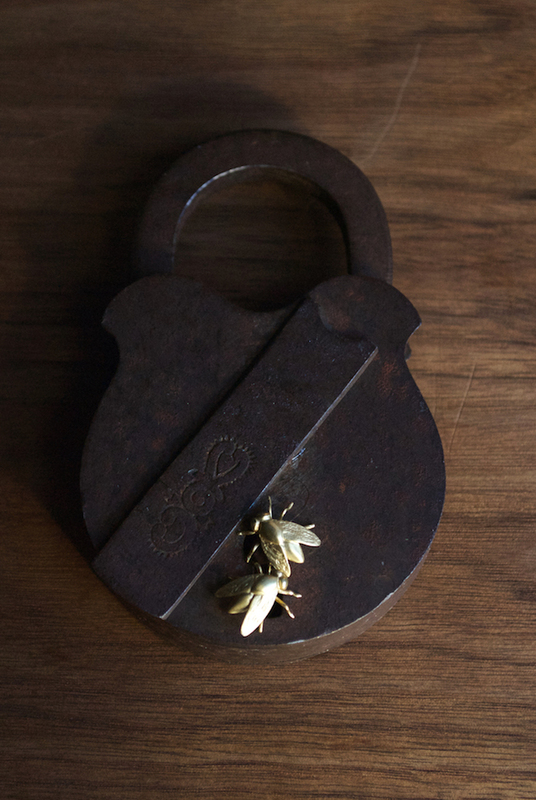 Beyond just adornment, these timeless pieces speak deeply personal meanings to the wearer. Gabriella Kiss Earrings. 18k Black Rutilated Quartz, 14k Green Gold Large Horn Butterflies, 18k Oval Ceylon Moonstone Earrings, Oxidized Bronze Bird Heads with Black Pearls. Gabriella Kiss Rings. 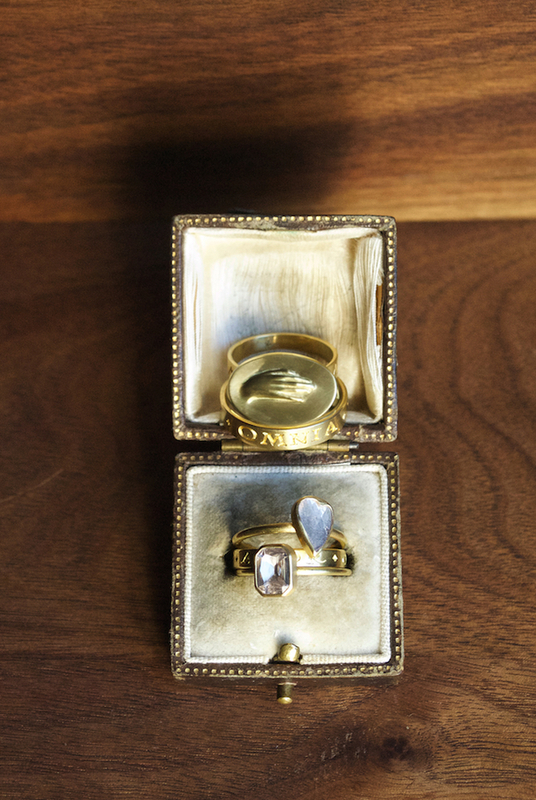 (top) Large 18k Hand Ring Inscribed with "Amicitia", 18k Mens Band Ring Inscribed with "Omnia Vincit Amor", (bottom) 18k Teardrop Pink Diamond Slab Ring, 18k Band Ring Inscribed with "Omnia Vincit Amor", 18k Mauve Emerald Cut Sapphire Ring. See the lovely film below for an insight into Gabriella Kiss' imaginative and finely tuned world.